Morgan Freeman has been accused of sexual misconduct by eight women, including allegations of “unwanted touching” and harassment, in a report published Thursday by CNN. CNN spoke to the eight women, as well as eight other people who say they witnessed inappropriate behavior by Freeman on film sets, while promoting his movies and also at his production company, Revelations Entertainment. Aside from WGN entertainment reporter Tyra Martin and Chloe Melas, a CNN entertainment reporter who co-authored the story, none of the accusers are named in the story. Both accused the star of making unwelcome comments about their appearance during movie junkets. A young production assistant on “Going in Style” told CNN that Freeman would make comments about her figure and clothing on a daily basis, as well as touching her back. Because of her experience, she said she decided to leave the movie industry. Another woman who worked on the 2012 movie “Now You See Me” said Freeman sexually harassed her and made comments about her body. “He did comment on our bodies… We knew that if he was coming by … not to wear any top that would show our breasts, not to wear anything that would show our bottoms, meaning not wearing clothes that [were] fitted,” she said. Each of the women said they didn’t report Freeman’s behavior because they feared for their jobs. Instead, the women said they tried to come up with ways to combat the harassment on their own. Examples of that were dressing in a different way when the actor was around. Former Revelations Entertainment staffers also told CNN that the company’s two founders, Freeman and producer Lori McCreary, created a “toxic” work environment, where female staffers were exposed to sexual comments made by Freeman. According to sources who spoke to CNN, McCreary would often mock women who had to leave work early for family commitments, although she openly advocated for work-life balance. Reps for McCreary and Revelations Entertainment have not responded to requests for comment. Morgan Freeman is quite possibly the most well known actor around and if you haven't seen him you've definitely heard him. Morgan Freeman joined the Air Force in 1955, right after graduating from high school. He worked as a radar technician until 1959. Freeman's first paid show business job was a dancer in the 1964 World's Fair. The Oscar-winning actor co-owns a blues club and restaurant with his friend Bill Luckett. The bar is called Ground Zero and it's in Clarksdale, Mississippi. Morgan Freeman made his Broadway debut in an all-black cast of "Hello, Dolly" in 1967 alongside Pearl Bailey. When Freeman was still trying to make it as an actor in New York, he took jobs as a clerk typist to pay his rent. In 2014, Morgan Freeman came on the "Tonight Show With Jimmy Fallon" and said that he started to keep bees and described how he feeds his bees -- and surprisingly doesn't need to wear a special outfit to protect himself because he resonates with the bees. When Freeman was 16 years old, an abscess developed on his lungs from contracting pneumonia. He almost died when the abscess burst. 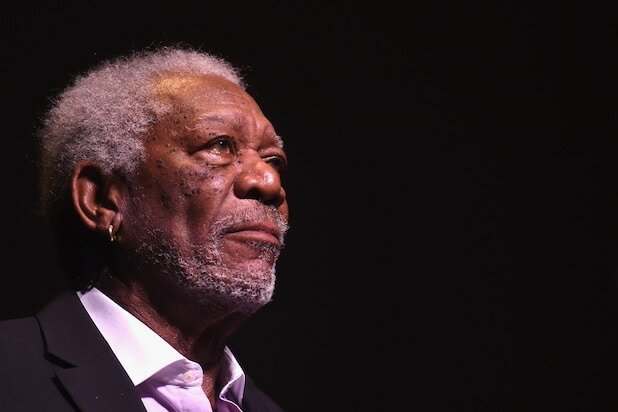 Morgan Freeman has said that there are five movies that have changed his life: "The Shawshank Redemption," "Bruce Almighty," "Driving Miss Daisy," "Lean on Me," and "Million Dollar Baby."